Has America lost control of its seafood? Tuna giant Bumble Bee is on the hook for bilking customers. The company has agreed to plead guilty for its role in a conspiracy to fix the prices of cans and pouches of tuna in the U.S., the Justice Department announced on Monday. Bumble Bee will also pay a $25 million criminal fine. "[We] will continue to hold these companies and their executives accountable for conduct that targeted a staple in American households," Andrew Finch, acting assistant attorney general of the Justice Department's antitrust division, said in a statement. In a felony charge filed in U.S. District Court, Justice Department prosecutors say Bumble Bee and its co-conspirators agreed to "fix, raise, and maintain prices of packaged seafood" between 2011 and 2013, after conversations and meetings with representatives of other major packaged seafood firms. Bumble Bee said it takes the matter "very seriously" and has fully cooperated with the DOJ throughout the investigation. "We accept full responsibility for needing to earn back any lost trust in our Company and will do so by acting with integrity and transparency in every way we operate our business," Bumble Bee General Counsel Jill Irvin said in a statement. Irvin said the company hired a chief compliance officer last fall, and has since revised its internal policies. It's not clear how much federal officials believe the company overcharged customers. Bumble Bee's senior vice president of sales agreed to plead guilty for his role in the conspiracy in December, as did the senior vice president of trade marketing. Both remain on paid leave. 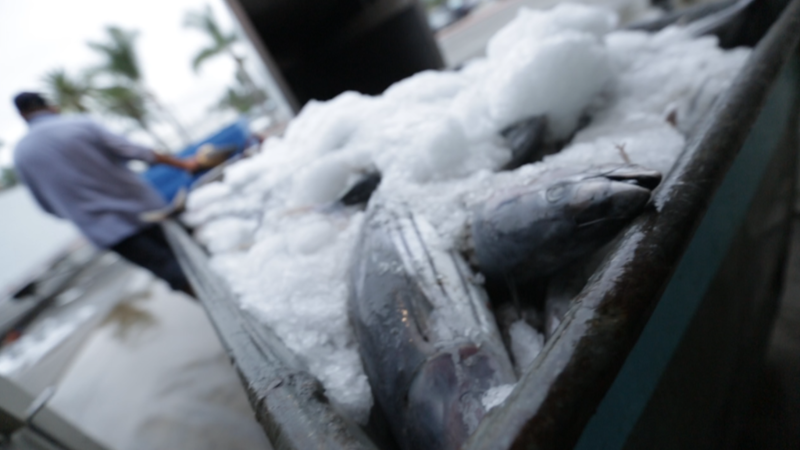 Limited competition in the seafood industry has been an ongoing issue. Thai Union Group, which owns Chicken of the Sea, dropped plans to buy Bumble Bee in 2015 after the Justice Department expressed concerns.